Standing by for telemetry acquisition. And there's the telemetry, with just KURS info outstanding. Confirmation of spacecraft separation and solar array deploy. Waiting on antenna deploy confirmation. Commands being issued from sea-based telemetry ships. NASA coverage has ended. Still don't know if the antenna deployed. There's a MCC-M controller doing some serious pacing at the front. Had confirmation that other antennas deployed, but still waiting on Kurs antenna deployed. Six hour RNDZ off. Now two days. ISS crew informed that a 34 orbit 2 day backup rendezvous is going to be used, due to Kurs antenna deploy issue. The issue is that Moscow has not yet been able to confirm that the Kurs antennas have deployed, due to intermittent telemetry. 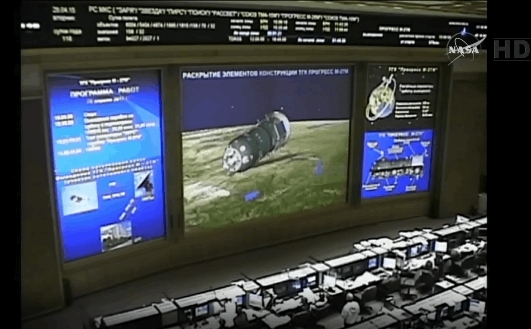 Deployment should have been done a few seconds after spacecraft separation. The two day rendezvous will allow them time to obtain confirmation and troubleshoot any problems if there are any. "The ship is in sight, but the telemetry information from it does not arrive. Experts find out why," - said the agency source in the space industry. 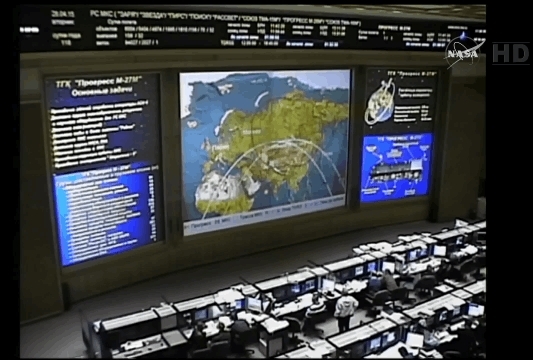 At the same time, experts Mission Control Center "Interfax" that the spacecraft did not open exchange antenna. "Solar opened normally, but did not open exchange antenna. Because of this, most likely, the Earth is not received telemetry," - said the official.